We have some of the most attractive doors available on the market today that offer the highest levels of security, complete with a multi locking point system and anti-lift flag hinges. 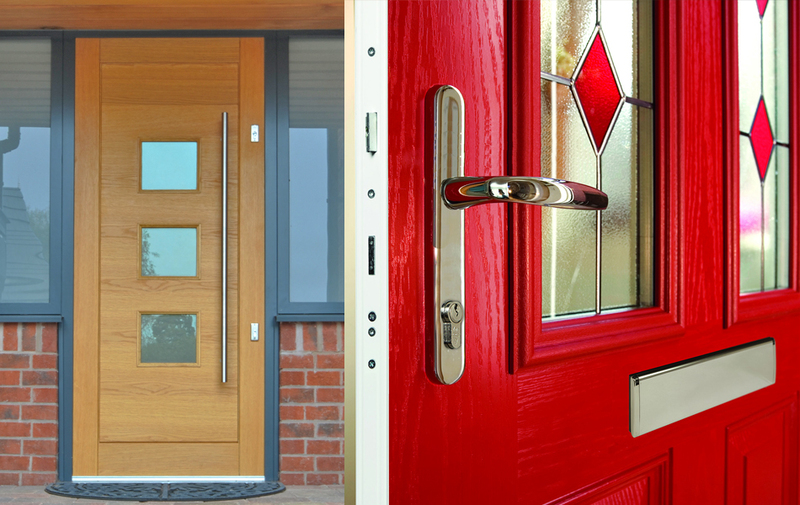 Our range of Composite doors offers thermal efficiency, security and resistance against swelling, twisting and warping. We supply and install all the latest door technology including finger-print door access solutions. These amazing doors are now being sold across the globe and becoming widespread among top class home owners and companies. Your Key is always on hand! and it is impossible to lock yourself out. No lost or stolen keys and maximum protection against forgery. The system detects growth of children’s finger as well as minor injuries and changes to users habits. Trusted products with a guarantee. Unique beautiful designs adding visually to your home security.